A report by the Mexican Council for Public Security and Criminal Justice found that three South African cities are among the top 50 most violent places on earth, based on murder rates per 100,000 people. However, they are not alone when it comes to having worryingly high murder rates, new local data shows. The latest State of Urban Safety report for 2018/19, published by the South African Cities Network (SACN), outlines the murder rates in nine of the country’s biggest metros, and how they compare to the national and metro averages, as well as how these numbers have changed over time. 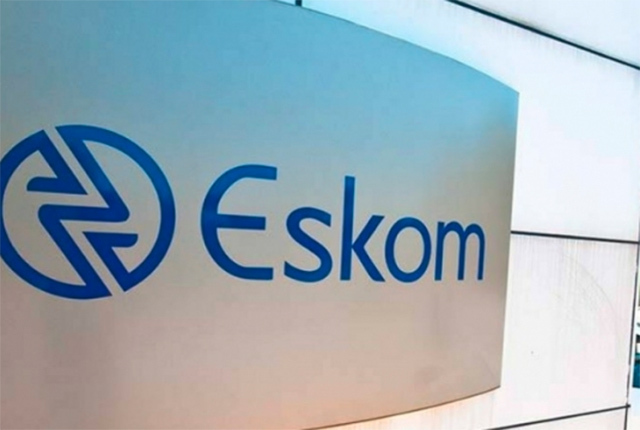 Aligning with the Mexican Council report, Cape Town, Nelson Mandela Bay and Durban remain the most violent cities in the country – though cities like Buffalo City, Msundizi (Pietermaritzburg) and Manguang are not far behind. 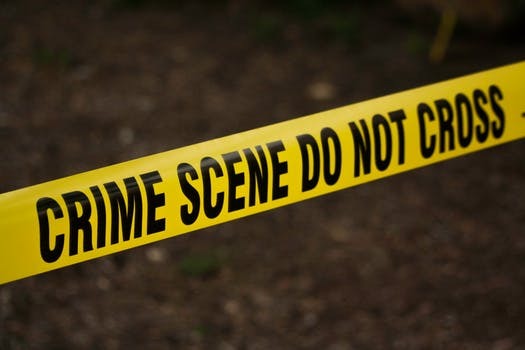 These six cities have a murder rate higher than the national average of 36 murders per 100,000 people – while Gauteng metros, have murder rates lower than the national average. Ekurhuleni has the highest murder rate in the province (32 per 100,000), followed by Johannesburg (31 per 100,000) and Tshwane (17 per 100,000). 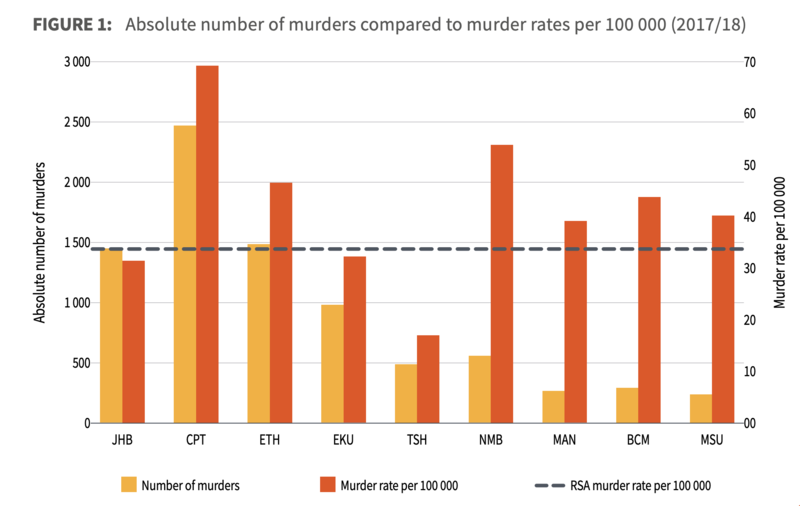 SACN said that the murder rate should be taken as a portion of the population, because the sheer number of reported murders isn’t fully representative of the risk to safety and security in any given province. Cities with higher populations will invariably have more reported crimes, which skews the data. “For example, in 2017/18, Mangaung recorded 310 murders, whereas the City of Tshwane recorded 568 murders. This might lead to the conclusion that residents in Tshwane face a higher risk of murder than those in Mangaung. “However, as Tshwane’s population is about four times greater than that of Mangaung – so in reality the average resident of Mangaung is more than twice as likely to be murdered than the average resident of Tshwane” the group said. Over the last 13 years, the murder rate in the Gauteng metros has remained below the national average. Despite this, the average murder rate for the nine cities (‘metro average’) has remained well above the national average. “Although eThekwini and Buffalo City have seen the greatest decrease in murder rates since 2005/06 (down by 23% and 28% respectively), the two cities still remain above the national average (since 2015/16, eThekwini’s rate has crept up, whereas Buffalo City’s rate continues to fall),” SACN said. 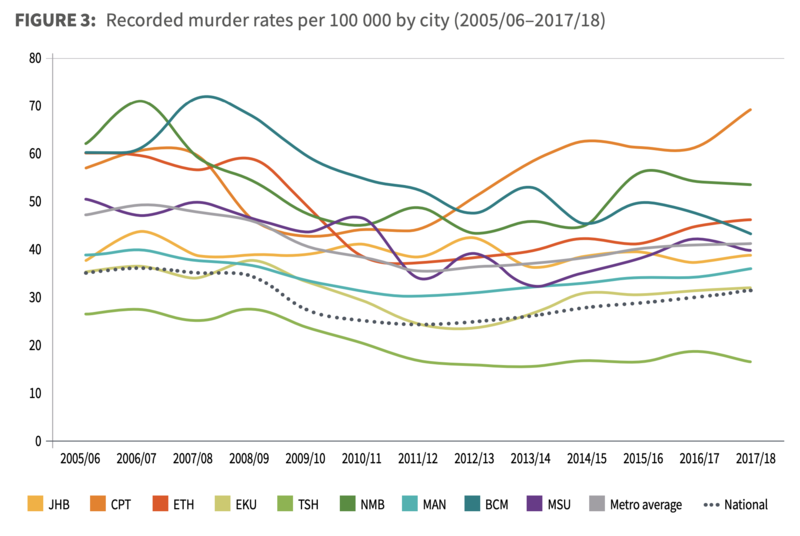 Cape Town continues to buck the trend, with a murder rate that has steadily increased since 2009/10, up by almost 70% between 2009/10 and 2017/18, despite plateauing over three years (2014/15–2016/17). “The increase in the murder rate in Cape Town is presumably driven by gang violence, which has been exacerbated by the supply of thousands of illegal firearms to criminal gangs in Cape Town,” the report said. Tshwane has the lowest rates of murder, assault and sexual offences of all the nine cities, but has fairly high levels of property-related crime. Although Johannesburg’s murder rate in 2017/18 was the lowest after Tshwane, it increased by 5% compared to the previous year, the second-largest increase among the cities – after Cape Town.